Hassan N’Dam and David Lemieux hosted a conference call to discuss their upcoming clash less than a month away in June. Find all the quotes here. I feel good. It’s the fight that I’ve been waiting for for a very long time, since I beat Curtis Stevens and I’m the official challenger. For me, it’s just a logic continuity after the Curtis Stevens fight. I’m happy that this fight is taking place because I was sick of waiting for this. For me, the opponent is not important. Before David Lemieux, two other boxers refused to fight me. The fact that David Lemieux accepted to fight me was a relief. I’m just waiting with impatience for June 20th, because I’ll be able to show to the world what I have in my head, in my legs and in my arms. Thank you very much, Hassan, and just to remind everyone, Hassan N’Dam has a record of 31-1 with 18 knockouts. 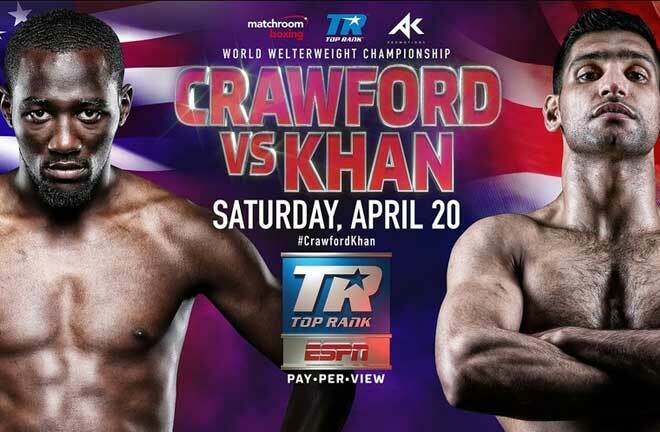 So with Lemieux’s style and Hassan’s style, it calls for again one of those terrific fights that can’t be missed. Also, thank you very much, Hassan, for your comments. We can now open it up to the media for a couple of questions for Hassan. The question for Hassan is: how does David Lemieux save up against some of your previous fighters? You fought Curtis Stevens. You fought Peter Quillin. What is Lemieux’s quality? Is he better than Stevens? Do you see him as better than Quillin or a notch below? Every boxer has his style and every boxer has his own strategy. Stevens’s strategy will not be the same as David Lemieux’s strategy. Boxing is a difficult sport. I respect each and every opponent that I have. Every opponent that will face me will be taken very seriously. Each fighter, the better ones and the lesser ones, are all considered equal for me when I’m going into a fight. Yes. 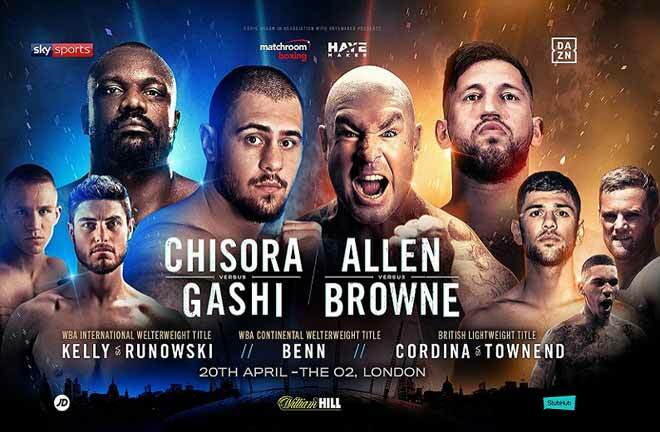 With the current resurgence of the middleweight division-when you talk about the middleweight division the names that come to mind are: Cotto, GGG, Lee, Quillin, Geale and now Pennello in the mix. They tend to forget two names, which are Lemieux and N’Dam. After Saturday, one of y’all’s names will be mixed with those guys. How do you all feel about that and what does it mean to you? I always look at these things the right side. I’ve always been considered as an outsider. And, I’ve always proven my skills with each and every one of my opponents. I’ve proved to everyone that I have the [indiscernible] to be where I am at that given moment after each fight.
. Today, everyone is talking about the hard-hitter facing me. But people tend to forget what I’ve done before when I’ve faced other hard-hitting boxers. One day my skills, my talent and my efforts will be recognized and acknowledged and then I’ll be in that midst. Yes, Paul, are you still on the line? Okay, I have a question with Hassan. I know this fight was being negotiated and there was some issue-I don’t know if there were issues or just rumors of issues of the financial terms, which led to the purse. I was just wondering if you could briefly speak to that. Whatever went on before, everything got sorted out. Hassan is here. He’s in camp. Golden Boy is along with us, and we’ll be in Montreal on the 20th ready to fight. Thanks. Well, I appreciate that. I have one question for Hassan. Just how he feels about having to go to David Lemieux’s backyard. Like he said, he goes on the outside looking in. So does he just see this as one more chance to upset the odds? Everywhere I fight, I feel like it’s my backyard. I feel like I’m at home. I was born in Cameroon, but I made a name for myself in France. Today, I fight in LA like I’m at home. On June 20th, I’ll be in my room in Canada. Okay, great. Thanks. I appreciate that. Then Oscar, I just have one question for you.I know this fight is going to be shown on Canada pay-per-view. 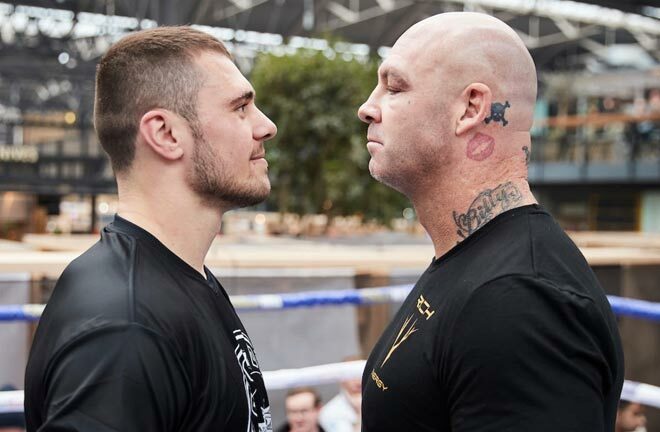 I was just wondering if efforts are still being made to try and secure US TV for this fight. Yes. We are talking to various networks here in the US and that’ll be sorted out. We’ll have an announcement very soon. Okay. I know you can’t speak to any network. Are you optimistic it will be on US TV though? It will be on US TV. Absolutely, yes. I’ll just translate the question for everyone. So, he’s asking, he says your only defeat in your career happened against Peter Quillin. So can you go over that and tell us what have you learned from that defeat, and can you use anything against David Lemieux? I’ve explained this many times to people and this is, I hope, the last time I’ll have to explain it, because my career is moving forward and not looking backwards. I fought Peter Quillin without being prepared. I had only a three-week notice and I didn’t even do any sparring. He says why did he not show up at the press conference at the last minute? I was told very, very late. I had a very short notice for this press conference. My preparation was already completely scheduled. When I was told about this press conference, I was in the French Alps because I do a high altitude free training camp, and I was just about to depart for Los Angeles to continue my training camp. I didn’t want to travel a lot and get tired. I’m preparing this fight on June 20th. That’s my main focus, is to travel to Montreal, win the title and go home with my title. This is for Hassan. You mentioned impatience following the fight versus Curtis Stevens. How does that motivate you? Does it give you motivation going into this fight against N’Dam seeing that it’s been a while since you got back into the ring? Basically, I just wanted-cause he said-he mentioned impatience following the fight against Stevens. Does that give him added motivation going into the fight against Lemieux? Yes, it adds up to the motivation because I finally have a name. I know the face of my opponent so I’ve been just waiting all this time. She says: you’re talking of yourself like a boxer that’s underestimated and what’s your strategy to beat David Lemieux? My strategy is very simple. I’m a complete boxer. David Lemieux says that he’s different than what he used to be. But I am a very complete boxer and I’m going to use all of the tools I have to beat him. That’s it. At this time, we have no further questions. I’d like to turn it over to Hassan for final comments. The final comment is, you know, I know everyone is talking about the fact that I am unhappy of the purse that I am getting for the fight. Of course, I am not very happy because I’ve heard several comments coming from my opponent’s camp saying that he’s going to have the largest purse in his career. I would like the idea, rules for the purse to be respected, and that is the purse must be split at 50/50, and there’s no additional money. I don’t want to talk about that anymore, but I just hope that the rules are going to be respected. I just have a message for David Lemieux if he is on the line. Man, you better get ready because the spot you’re in, the challenger spot you’re in, you didn’t earn it. You got it by chance, by luck. I’m going to prove to you and to the entire world that you do not have the level of [indiscernible]. When you had the chance to become mandatory challenger, you always blew your chances. That’s all I have. Thank you very much. Paul, thank you very much, N’Dam. And now to introduce to you Team Lemieux. I would like to say it has been a great pleasure to work with this nice young man I’ll be introducing to you. He is president of Eye of the Tiger management. That is Camille Estephan. Camille. Hello, everybody. Thank you, Oscar, for the wonderful work and team N’Dam for being here today, unlike the Montreal visit that didn’t happen. I’d like to thank the press for the attention they’re giving to this fight. The fight that is majorly important in a very, very hard division that’s now the middleweight division. We believe that there will be a statement made on June 20th in Montreal at the Bell Centre. The Bell Centre will be hosting an event that will be historical. It’s historical because it will mark a great name coming up. 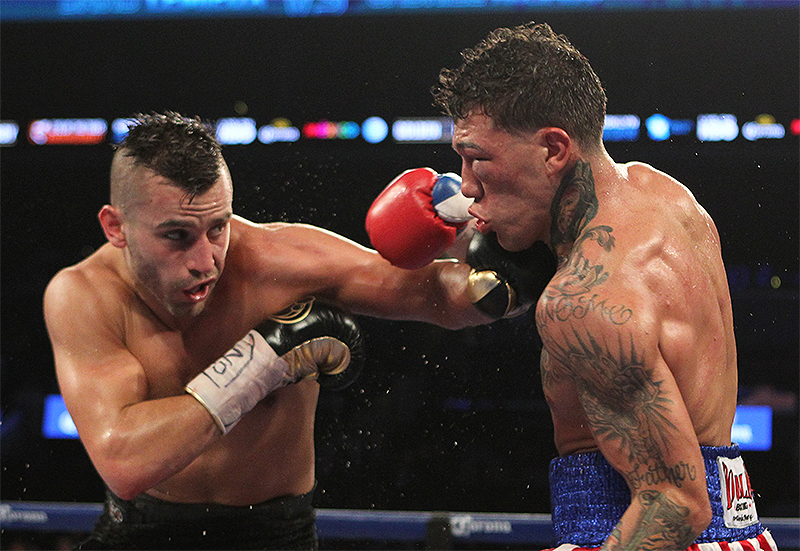 We believe in David Lemieux to do right at making a statement. But as well, it’s a celebration of a 35-year date in 1980. June 20th, Roberto Duran fought Sugar Ray Leonard at the Olympic Stadium and won a great historical fight. So, we’re pleased and thrilled to be making history again in Montreal for the wonderful boxing fans that supported us throughout the years and I’ve been there for David. So, it’s wonderful. Thank you, Eric and Oscar, to give the opportunity to David to give back to his fans on a wonderful June 20th coming up. I’d like to introduce you to, as well, David and bring him to say a few words. I’m very proud of the work that he’s putting in, as always, for the last few years we’ve been working together and very, very looking forward to his performance on June 20th. David. Hello. I’m here. Very excited for this fight. I’ve been waiting for a long time to be able to face the world champion in our division and to be able to become a world champion. It is my time, and I’ve been working since I was a young kid at this to be where I am today. I’m working extremely hard. This is to-date the best camp I’ve ever had. My physical strength is much better than it ever has been. Everything is kind of coming into perfection for this fight. I’m extremely confident in this fight and what I am to expect with Hassan N’Dam, for I understand his boxing abilities. I understand everything about him. I’ve watched him. We studied him very well. I know his strengths, and I know his weaknesses. And I know my strength, and I know my weaknesses or whatever it is. There’s nothing I am concerned about in this fight with what I am doing today and everyday. It’s going to be a great event. It’s going to be very explosive, and hopefully, it’s going to mark a historical event in Montreal and a great fight for 2015, to give to the fans all what they want, what they need. They’ve got two top athletes in the ring, and it’s going to be great. Two hungry guys; one much hungrier than the other. But, talk is cheap. We’ll keep everything cool for the fight on June 20th. I’m very excited and very confident. I’m looking very forward to this fight. I’m very, very happy, and to fight N’Dam when other fighters turned him down. I would never turn down any fighter if the skills are right, good or great or whatever they are. With all my abilities, I’m in total confidence with myself, with my group, with my people, and with my surroundings, and every world we’re going to take, we’re going to be together. We’re going to be strong, and we’re going to have a big army around me. I’m willing to do all the damage, and on June 20th, I’m going to open a lot of eyes. It’s going to be very exciting. Thank you very much, David. Before we open it up to questions for the media-just want to point out that David Lemieux, you take a look at his record, which is 33-2 with 31 knockouts. He has one of the top tail percentages of any fighter today. He has an explosive style. He’s hungry. He’s determined. He’s ready to go. This is a very important and historical at the Bell Centre. Canada will be behind this event 100%. Golden Boy Promotions is really proud to be working with Eye of the Tiger and David. This will be our first fight since signing a deal with David, so we are just thrilled, excited, and happy, to be going out there for the whole week promoting this great event in Canada. Now we can open it up to the media for questions for David. Thank you. Hello, everybody. Thank you. Hello, David. David, my question for you is related to the loss that N’Dam took against Peter Quillin. He said on his part of the call that he had only three weeks to prepare for that fight and did not spar, but the results of the fight was he got knocked down, I believe it was five times, and obviously lost the decision. The question is: you are known for your very good punching power. He was on the deck five times against the best opponent that he has faced in his career. When you think about that, or do you think about that, do you think that this is looking like another knockout for David Lemieux? He’s a great fighter. I’m not underestimating him, and I would never compare myself to any other fighters, especially not to Peter Quillin. He’s a good fighter but my abilities are very different, and I’m sure that any athlete can get knocked down but I think when Hassan will put the glove to his knee and that bell will ring in the first round, he will never [indiscernible] with me in his entire career. But we’ll see on June 20th. Well, when you know that he got knocked down five times, and you know the kind of power that you possess, does it make you lick your chops a little bit? No because anybody I’m willing to go in the ring with, I’m going to hurt them regardless if it is an undefeated title who has never been knocked down or some guy who has been knocked down. To me, it makes no difference because I have one goal in my mind. It’s to destroy and to be able to do it the best way I can throughout the whole fight. If it doesn’t happen in the first round, or the fifth, or the sixth, I’ll still try to the twelfth. There’s always going to be patience from my side. I want to ask you, I don’t know if you had a chance to see it. 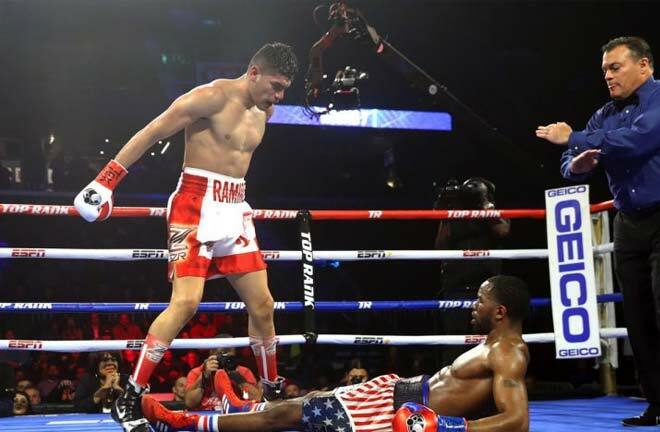 Did you watch the Gennady Golovkin fight on Saturday night and his performance against Willie Monroe? No. I’m just concentrating on this fight right now. I’m not paying attention to any other boxing. Just concentrating on my fight and on my [indiscernible], and that’s it. How big of a deal is it for you, David, that this fight is going to take place in Montreal where you, obviously, that’s your hometown? By all accounts, you’re developing a very nice fan base up there. How significant is it for you to be able to fight for one of the world titles in front of those people in Montreal? Alright. Very good. David, I wish you good luck. Thank you very much. Hi, David. My question is this. On N’Dam’s side of the call, he said that you didn’t earn this spot, that you were lucky. Why do you think he would say something like that and does that bother you that he said you didn’t earn, regardless of what you’ve done in your career. He says you got this by luck? Well, that’s only going to make him look foolish when I beat him on the 20th, that’s all. There’s no luck in boxing. It’s a hard man’s work. It’s life or death in the ring. It’s not a game, and there’s no such thing as luck in boxing. I’ve earned my right to be where I am, and I will be where I want to be. So, whatever his comment is, I disregard it and I don’t concern myself with his opinion. Yes. This question is for David. 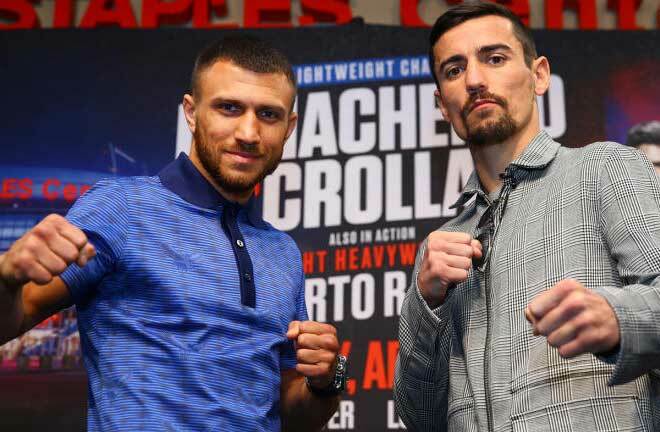 You’re one of the names that kind of get forgotton in the middleweight division and if you win on Saturday, it’s going to change dramatically. You’re going to get thrown right up there with the upper echelon of this division. What does that mean to you? What does this fight mean to you? It’s something I’ve known, I’ve understood and I’m ready for it. My name has been in people’s ears, but it hasn’t been out there to expose potential yet. So June 20th will signify earning the right to have my name out there with the top of the world. It’s extremely important. Of course every fight is extremely important, but especially this one. It’s another degree of importance. I’m training extremely hard, and I’m not going to miss my shot. Good answer. Is unifying the titles, is that in your future? Do you see you trying that? Yes. Sure. I’ll fight whoever there is to fight. I’m always up for challenges, and this is what I do as a champion. This is my duty. I’ll defend whatever there is to defend. I’m always going to be fighting the best. So, I’ll be all set for that [indiscernible]. Hi, David. How are you doing today? I’m doing great. How are you? Good. Thank you. My question comes from Hassan’s comments at the end of his conference. Do you think he is underestimating you as a fighter or do you think it was just a comment out of disrespect for you and how does that motivate you for the fight? I think he has no clue of whom he’s going to face on June 20th and that’s going to be to my advantage. I don’t concern myself with his opinion or what he has to say about who he has faced and the challenges I’ve had in my life and my career, whatever it is. That’s my personal issues, and I aim to prove otherwise and June 20th will be the day when I will prove that. So, I don’t concern myself with anything. I’m very focused, and I’m ready. I’m ready for anything. Great. Another question I have for you is he has more experience in championship fights. He’s gone, I think four or five more twelve-round fights than you have. Do you think his experience or your lack of experience in the later rounds will be a disadvantage for you? Not at all. Nothing’s going to change the scenario of the fight. My experience has been great, and I’m ready to fight anybody in the middleweight division. Whatever style they have, it’s not going to be an issue. Hello. This is a question for Oscar. Golden Boy and you have really been delivering. Your last two fights were Matthysse, Provodnikov, and then Canelo, Kirkland. This is another great matchup between N’Dam and Lemieux. I was just wondering, I read that HBO had a pass on this fight, and I was wondering why they would pass on a great fight like this. Hey, Karl, this is Cecilia. Oscar had to step off the call to do a quick meeting in regards to TV rights to this particular fight. So, he’s no longer on the call, unfortunately. Sorry. Okay. Alright. That’s all I’ve got. Thank you. And I would not like to turn it over to David for final comments. June 20th is going to be a great night of boxing. For all the fans around the world, don’t miss this fight. If you blink, you might miss it. It’s going to be a great night and very explosive. I’m actually very excited and very happy to be fighting Hassan N’Dam. Thank you.